So many parents ask how to home school. It's a great question that comes with a great diversity of answers. As a parent, we want only the best for our children. Which is exactly why we are always searching for the latest and greatest book or curriculum or toy or whatever. The truth be told, there is no perfect homeschool anything! You just go with the flow. Obviously, follow the laws of your state, but after that, the sky is pretty much the limit. You know the old saying, "If at first you don't succeed, try, try again." Try a curriculum and if it doesn't quite fit, try something else. We all know there's enough of them out there to pick from! But, What ELSE do successful home school families DO? You'll find below ideas from other homeschoolers, just like you, who have tried new things and succeeded. (Or not, learn from their mistakes!) We welcome your comments, especially fresh ideas that have worked for you and your family. My daughter, Emily, wrote a paper for college about shared services, one option we elected to use for foreign language. Hope this sparks ideas to share that you're already successfully implementing in your homeschool. Parents often wonder how to home school. What they should know is that homeschooled students can take advantage of the opportunities that public schools have to offer by reaping the benefits that they can gain from a public school environment. When homeschool students participate in classes or activities at a public school while still being schooled at home, they are utilizing what is called shared services. The Wisconsin Parents Association (WPA) supports the right of homeschoolers to utilize their access to shared services. In Wisconsin, homeschool students are allowed to take up to two courses each semester in a public school. Shared services will appeal to some homeschooling parents because it fulfills the need for socialization that many people believe homeschooled students lack when being taught in a home-based setting. 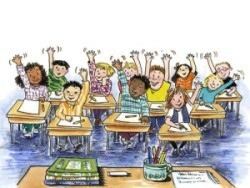 While it has already been proven that most homeschooled students are adequately and even successfully socialized while learning at home, parents and students who feel like they could benefit from added socialization outside the home will value the increased level of contact with their peers that results from shared services. Shared services has another advantage for parents who want to know how to home school their children. 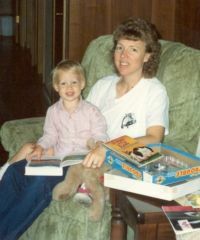 Because homeschooling is such a hands-on method, it requires at least one parent to be at home teaching the children. Even if homeschooled students take only a couple of courses at their local public school, it can help free up that parent's time for at least a few hours. This short period of time gives children the opportunity to learn in a new environment and parents the time to get ahead on lesson plans or projects. However, choosing to have your child take additional classes at a public school has negative aspects as well. Many parents who know how to home school like the flexibility that homeschooling gives them. Often times, public school schedules are the driving force behind when families get up, eat, and sleep, as well as someone must be home from any outside activity to greet the child returning from school. It would be impossible for a family to leave town and visit the Smithsonian for a few weeks if just one child was involved in public school. Shared services also helps with many of the uncertainties of parents who are wondering how to home school their child. Many new homeschooling parents often feel like they are unqualified to take complete responsibility of their child's education. In 2009, the average public school student scored in the 50th percentile on core subjects (math, language, science, and social studies). 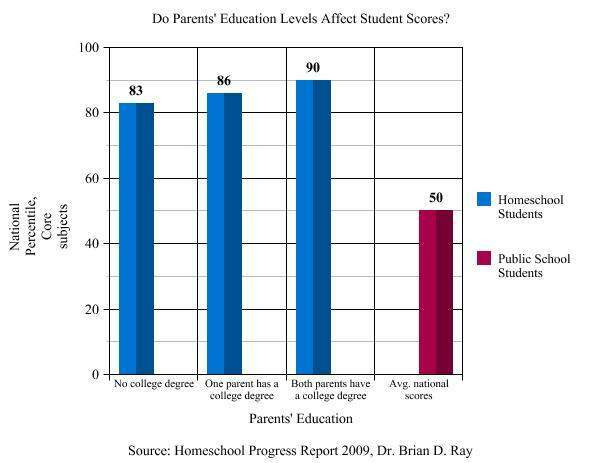 In the homeschooling community, in households where neither parent had a college degree, students scored in the 83rd percentile. This vast difference in scores speaks directly to the reason why 73% of homeschooling parents chose to homeschool their children: because they were dissatisfied with academic instruction in the public school. Even with all this evidence proving that uncertified teachers (parents) are able to educate their children just as well or better than the public school system, many parents learning how to home school their child still feel that they're unqualified to teach their child in all the subjects that must be covered. In these instances it is the customization homeschool families are able to employ that makes taking one or two courses at a public school a good alternative. For parents who feel like their ability to give their child the best education possible at home is not an option because of their own deficiency in one or two core subjects, shared services is an option that gives them all the advantages of homeschooling while still making sure their child gets the quality education they deserve. Few people excel in every school subject they encounter, and it is likely that most parents will find a subject or two they feel less comfortable with than others. For example, the challenge of teaching a foreign language can be particularly daunting when a parent has not used a foreign language since they graduated from high school. This is just another aspect of shared services that makes it a good choice for parents who feel insecure about their ability to effectively teach their children. Benefits of using CLEP Tests in high school. Learn how you can earn college credits while still in high school to save time and money.